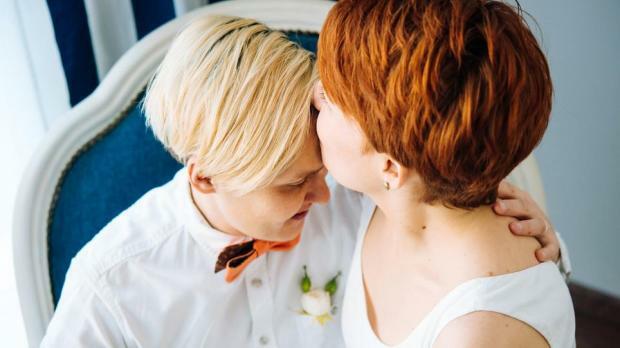 Malta's marriage equality bill wasmore complex and more sophisticated than similar legislation in New York State, an expert within the Civil Rights Ministry told the House Consideration of Bills Committee today. Silvan Agius, who serves as director of human rights and integration within Helena Dalli’s office, was discussing a clause that changes forms annexed to the Bill after Nationalist MP Edwin Vassallo had suggested the “traditional forms” be kept in parallel with the new ones, rather than substituted. Dr Dalli immediately shot down the suggestion, saying doing so would defeat the Bill's purpose and telling Mr Vassallo "this is not a supermarket". The comment drew the ire of Jason Azzopardi (PN), who asked the minister to show more respect towards the Opposition. Mr Agius told parliamentarians that the Bill before them was gender-neutral, in line with legal principles. Mr Vassallo insisted the government was imposing the issue, rather than offering a choice, and said this was a step backwards. Dr Dalli was quick to respond, saying that the true step backwards was when one felt that equality was an imposition. Dr Azzopardi said there was a difference between equality and uniformity, and asked whether similar bills in foreign countries had amended terminology. Mr Agius replied that marriage equality bills in France and Luxembourg had both done so. The committee meets again on Monday at 8pm.